A satin smooth cream eyeshadow that stays fresh and flawless with intense, immediate and crease-free color. The easy-to-apply cream texture glides on with fingertips, blends beautifully and is great for layering. Available in 3 satin shades. *Satisfaction test conso - 105 women - After 7 days of use. Fingertip-apply, or use Clarins’ Smudging Brush, and blend across eyelids. 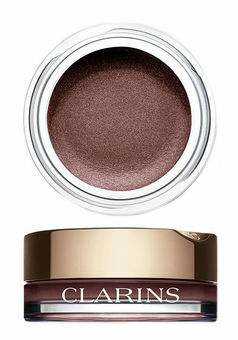 Wear alone or layer with Clarins’ NEW Ombre Velvet or NEW Ombre Sparkle eyeshadow monos.